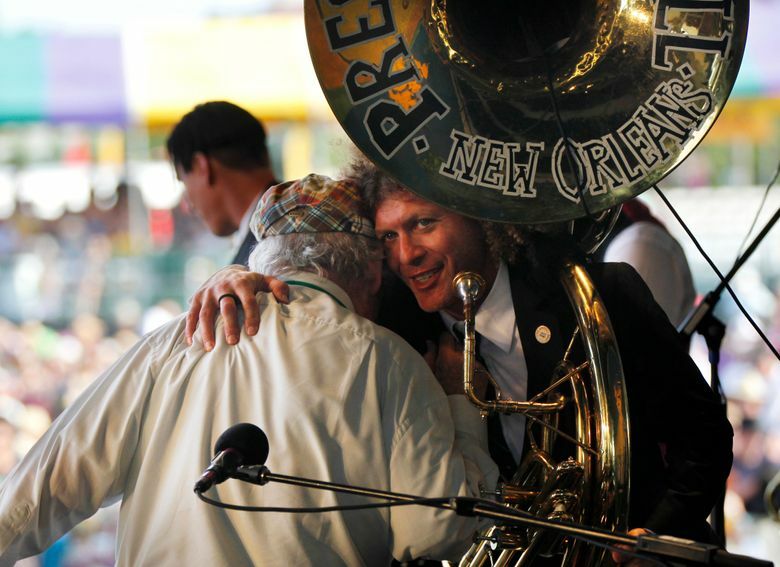 Creative director and musician Ben Jaffe said he recovered the 12-year-old Italian sousaphone Monday, thanks to a tipster who wished to remain anonymous. He didn’t elaborate on exactly how he got it back. Tape used to spell out “Preservation Hall, New Orleans” in black-and-white letters is gone from the bell, Jaffe noted. However, he said, the tape had protected the finish under it from 12 years’ wear and tear, so he could still make out the words. Even without the lettering, he said, the sousaphone would be easy to identify because it is an Italian-made instrument, and a rarity in the U.S.
“I’ve never met another person in the U.S. who uses this make ,” he added. The sousaphone is lighter than most, making it easier to march with. The band is based at Preservation Hall, a French Quarter venue which was created in 1961 to help keep traditional jazz alive and presents more than 350 nights of live concerts a year. Jaffe, who plays the tuba, said the sousaphone will have to be sent to a specialist for repairs because piston-like valves used to change notes were bent. “Even though it’s really big, it’s a delicate instrument,” he said, adding repairs may take a few weeks and cost up to $2,000. Jaffe posted a photo of himself with the sousaphone, smiling and raising his right fist high.